For millennia, materials like wood, brick and stone have been perceived as the most sensible materials to build strong structures that will withstand the elements. 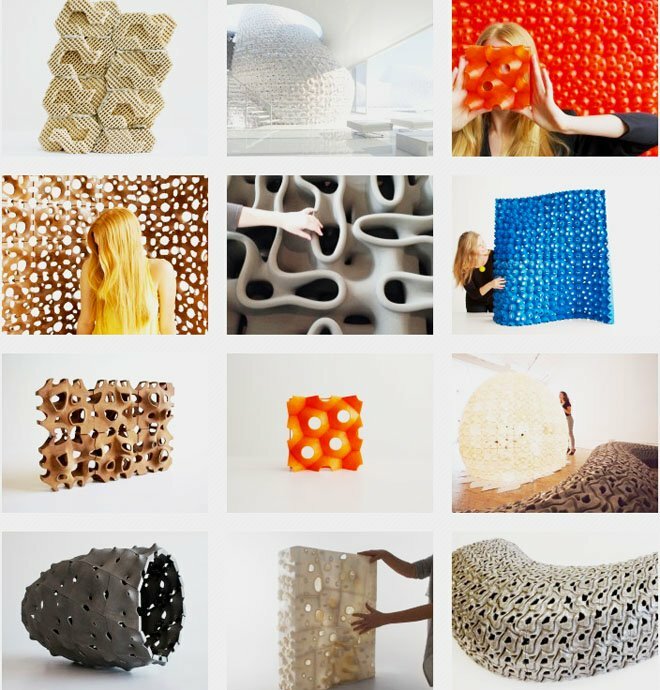 However, recent advances in digital fabrication are challenging these age-old ideas — whether it’s getting people to eschew time-consuming building conventions when constructing their own open-source sustainable homes — or getting people used to the idea that someday, structurally sound homes may be 3D printed out of unfamiliar materials like super-strong and lightweight cement polymers, or even salt. 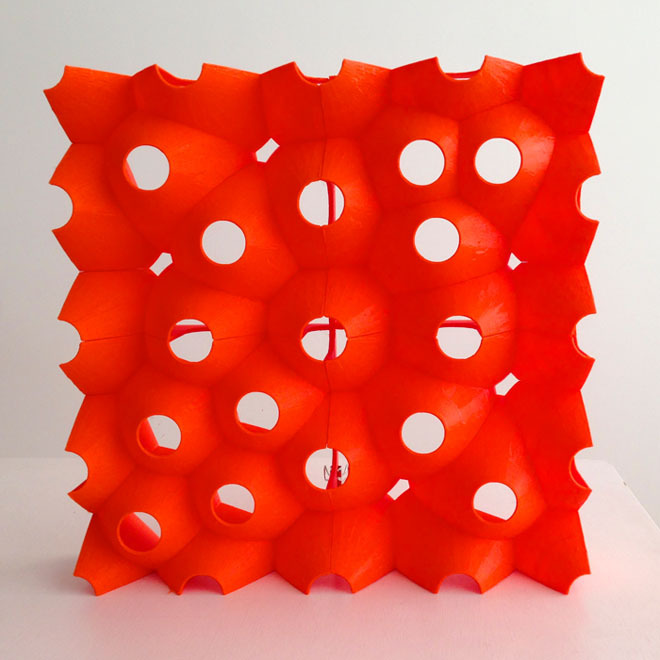 But it is happening: Oakland-based Emerging Objects — self-described as a start-up, doubling as a custom tile company — is developing unconventional building materials which may be used one day to print habitable structures. 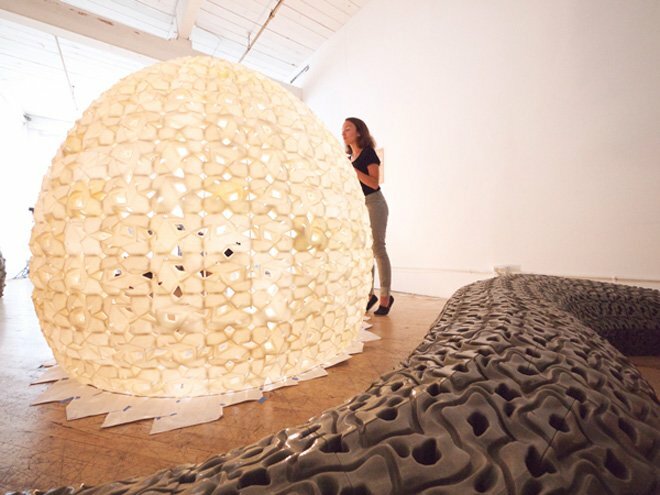 Founders Ronald Rael and Virginia San Fratello, both professors and principal architects of the design collective Rael San Fratello, approach 3D printed architecture in a modular way, focusing on developing materials that can be printed — tile by tile — to create buildings that can withstand earthquakes, require no energy to heat and cool, or to soak up pollution. 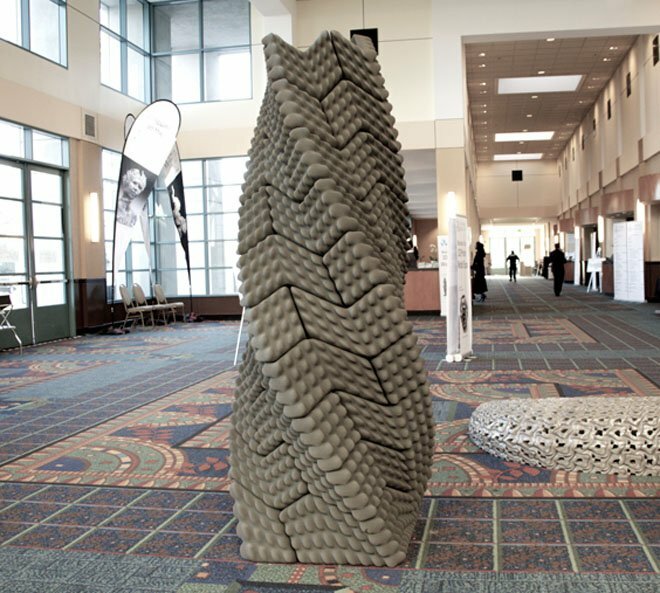 These are part of the “new stack” of super materials that can significantly boost the performance of a building, as well as push the limits of how architecture functions in the larger environment. In the US alone there are over a billion square feet of tiles and surfaces to clad. The difference is that we can make tiles that are not just 2 dimensional but 3 dimensional and that can have many different shapes. They can be self supportive and can thus become walls, and screens and partitions or even be used for exterior cladding. This allows us to completely rethink architecture and construction for the 21st century. 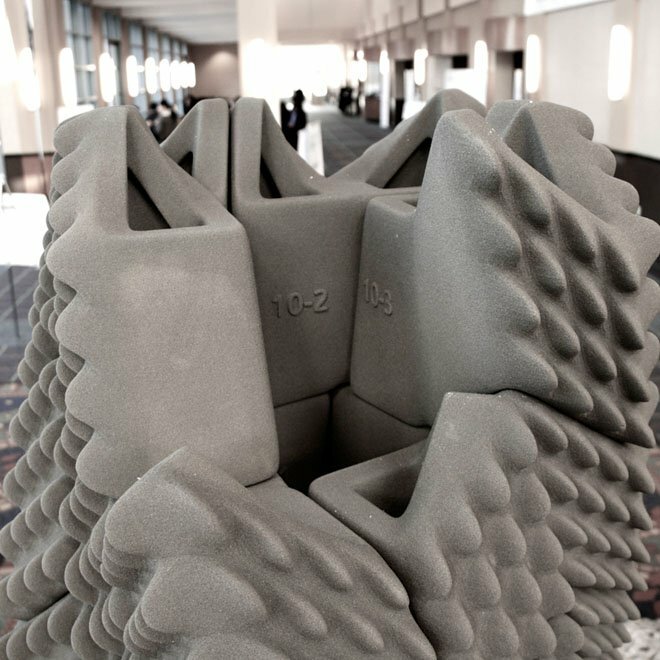 Modular design is nothing new, but combining it with new ways of manufacturing and executing it with surprising materials does have some interesting implications. The traditional, orthogonal brick is upgraded from a bland block into a fundamentally variable element, ripe for many possible formal and material metamorphoses, or pragmatic uses. For instance, take Emerging Objects’ Picoroco Block, which can be 3D printed in polymerized sand or PLA (a biodegradable, thermoplastic aliphatic polyester derived from renewable resources). 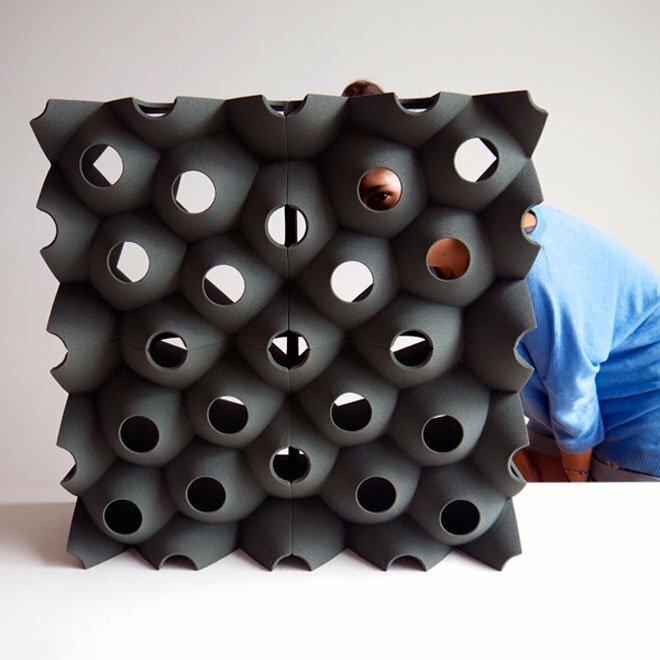 When these distinctive tiles are put together, it forms a wall that nevertheless allows light and air to pass through, but is also easy to assemble and disassemble, thanks to its clip-on format. We are both architects, we are both professors in architecture and we believe architecture is culturally complex. The other efforts in this field have an engineering-based approach, and are based on the development of scaled up machines. 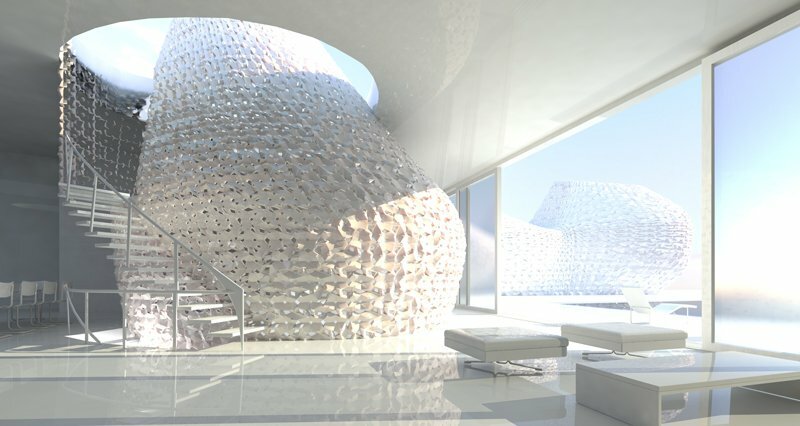 We want to 3D print buildings not as some futuristic proposition as much as by creating a fundamental architectural component: the 3D printed brick. Rather than creating monolithically, it’s essentially thinking block by block. The modern twist that additive manufacturing offers here is the opportunity for customization, but mass produced at an industrial level. 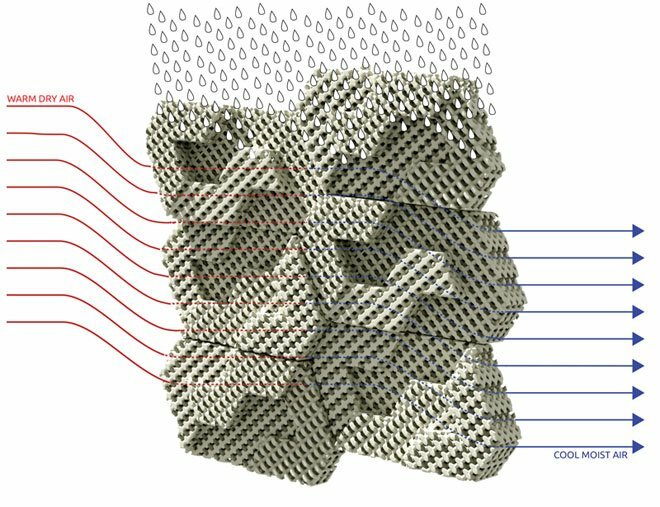 It could mean buildings constructed with hyper-local adaptations that use technology to address contextual needs, like a tailor-made brick for hot, dry climates that can shade and cool a building without electricity. Emerging Objects’ Cool Brick is an example of this: inspired by traditional techniques of evaporative cooling in the desert, the team printed lattice-like bricks out of a porous ceramic that would passively cool a building, using only water and wind. Their Quake Column is yet another example of how local building traditions have been updated with technology. Informed by how the ancient Incans built earthquake-proof structures of massive stones without the use of mortar, the team developed an interlocking, sand brick that was seismically resistant, yet is lightweight and hollow. Besides their experiments in printing wood, cement, ceramics, plastics and sand, Emerging Objects is also exploring how salt could be used to construct buildings. Once again, even this seemingly avant-garde step has its roots in tradition; the duo were influenced by the use of salt blocks found in Middle Eastern architecture. 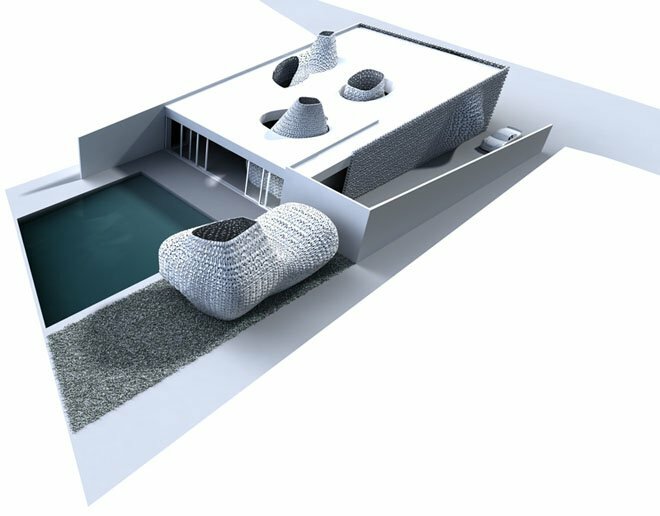 Their Saltygloo pavilion and 3D printed salt house envision materials being locally harvested — as in the case of the Saltygloo, its salt harvested from San Francisco Bay — and processed with a glue to make it suitable for 3D printing. The cities of the future might look different but more importantly they will perform differently, and feel different. They might be cooler because the surface of the buildings will be limiting the heat island effect. The shape and action of a building block will minimize the impact of pollution, collect water, create shade, ventilate in new ways, hold clad, or contain sensors that can tell us when a building is sick or when a city is sick. 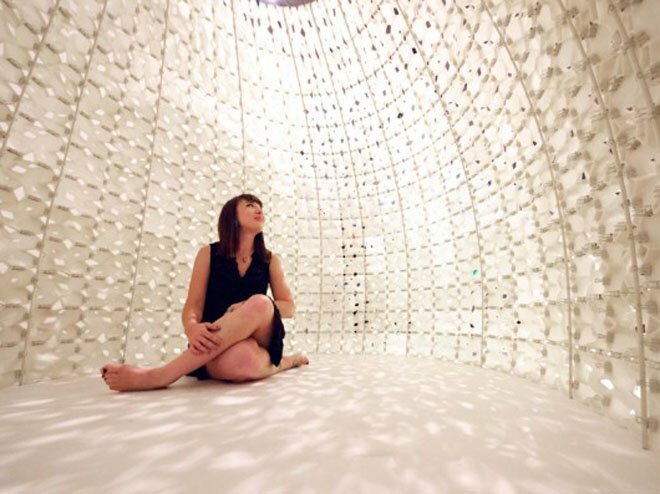 Structures created in this way will be responsive, customized for culture and place, and perhaps even dynamically adaptive, given current developments for self-assembling, self-transforming materials in 4D printing — ultimately creating architecture that will become more than mere shelter. More over at Emerging Objects and Rael San Fratello. All images via Emerging Objects.